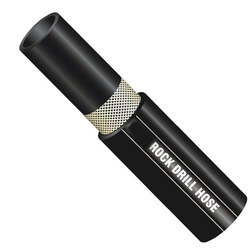 With the rich industry experience and continuous support of our team of experts, we are involved in offering a wide range of Rock Drill Hose. Recommended for all pneumatic application for rock drilling in the most severe condition in open cast mines & quarries. 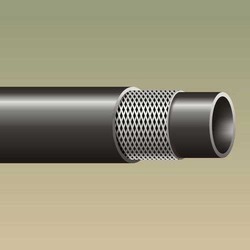 We offer high-grade quality hoses to our valued clients. 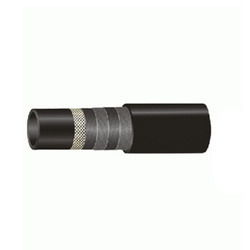 These hoses are offered in different specifications according to various client’s needs. The offered range of hose is made from the finest quality raw material to meet the industry defined quality standards. 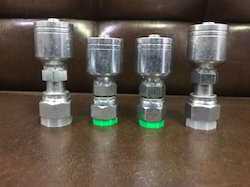 We are one of the trusted names in the market to offer a wide array of Steam Hose. The offered range of hose is made from quality approved component and under the supervision of the best-qualified experts using advanced technology and tools. The offered hoses are highly appreciated and demanded in the market due to its high quality and long service life. We are offering these hoses at a nominal market price. We have achieved a distinct and dynamic position in the industry by providing a wide assortment of Spiral Hoses. The offered spiral hose is available in many sizes and other allied specifications to choose from. The provided spiral hoses are manufactured and designed at a highly advanced manufacturing unit following international guidelines and norms. Known for their easy installation and flawless finish, these spiral hoses are widely demanded in the industry. 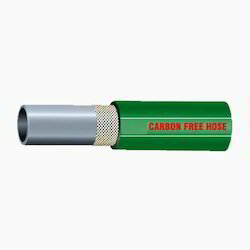 Our organization is engaged in providing an exclusive range of Carbon Free Hose to our valued clients. These hoses are manufactured using an optimum quality raw material with defined industry standards by utilizing the advanced tools and technology. Offered hoses are widely used in the market due to longer service life, high strength, low maintenance and reasonable market price. Moreover, we assured delivery of products within a promised time frame to the clients. Silver Enterprise is making the business successful for a huge clientele as an industry leading manufacturer and trader firm of modern day Hoses and Fittings since 2003. With a strategy to expand our industrial reach, we are engaged in broadening our product portfolio which includes impressive range of next generation equipments, such as Jack Hose, Fire Hoses and Car Washing Hose. Our core business efficiency equips us to bring forth a product range that is highly acclaimed for its sturdy construction, accurate dimensions, high tenacity, good ageing properties and resistance to weather, heat and abrasion, and ability to withstand high pressure. Our developed products are creating a wide platform for our success in chemical, pharmaceutical, agricultural verticals of the industry. 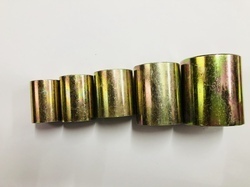 As, we are into manufacturing much anticipated range of products and fittings that efficiently support the applications of air, oil, water steam, welding, pneumatic, hydraulic, food, drug manufacturing, and dairy segments. Moreover, our in-house service capabilities of innovation and R&D make us able to outperform the competition. We have implemented modern day technological advancements at our well integrated infrastructure to streamline the activities of procurement, product development, distribution, and logistics. 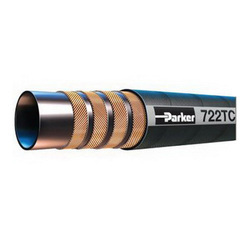 In addition, our distinct strength and nearly 12 years of leading position in the industry earned us the repute of being an authorized trading partner of Parker, Duplex and Aeroflex.